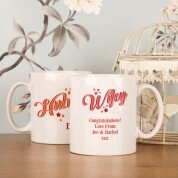 Congratulate a new husband and wife on their wedding or special anniversary with our quirky Hubby and Wifey mug set. The modern design is bright and sure to stand out from the crowd - with personalised mugs they'll never mix up their drinks again! Each mug is complete with the recipient's first name underneath the "Hubby" or "Wifey" text on the front. 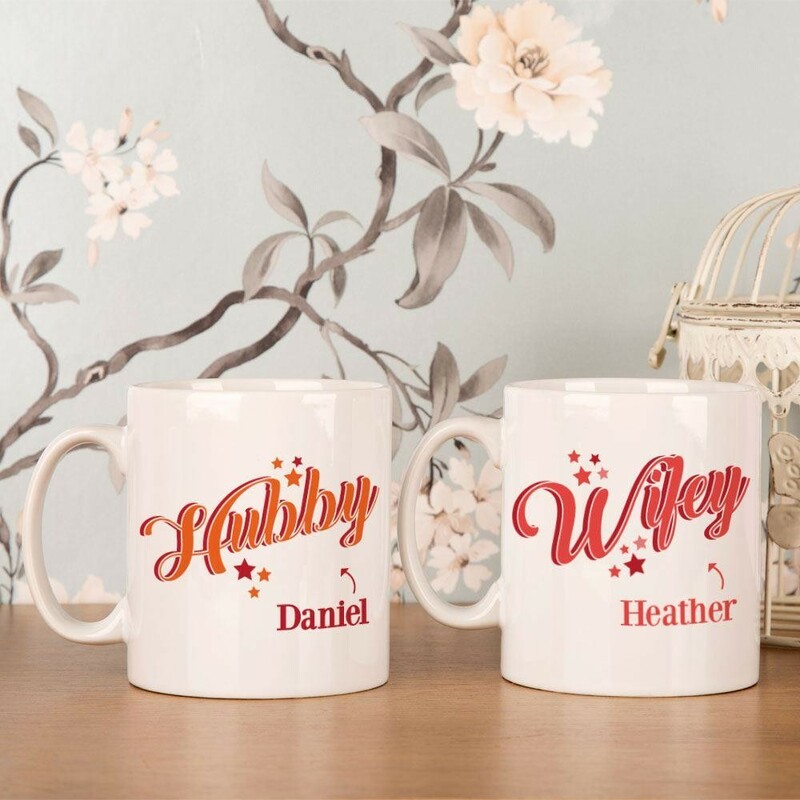 The back of each mug features a smaller "Hubby" or "Wifey" design, and your own personal message to the couple below. It's a fun and practical gift for their home and is a great way to show off their husband and wife status!